Lenovo teamed up with Intel to launch a netbook called Classmate+ focusing at youngsters of devloping countries. The Classmate+ is not looking to be a powerhouse, but it packs enough power to get most jobs done. 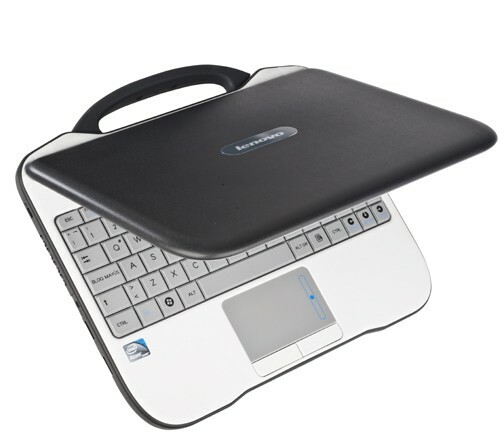 Classmate+ features an Intel Atom N455 CPU, 1 or 2 GB of RAM and Windows 7. It also sports a 10.1-inch anti-glare screen, a 1.3 megapixel camera, Wi-Fi, two speakers and a choice between a 3-cell or a 6-cell battery. As for storage options, it’s either 8 GB or a 16 GB SSD or a 160 or 250 GB HDD. The device is very muchlooking like a briefcase shape and weighs a mere 1.33 kg with the smaller battery and 1.54 kg with the 6-cell version. The Classmate+ won’t be available in stores – it will be sold to agencies and educational institutions. The first batch of 158,000 will be deployed to students in Argentina this spring by the Organization of Ibero-American States.